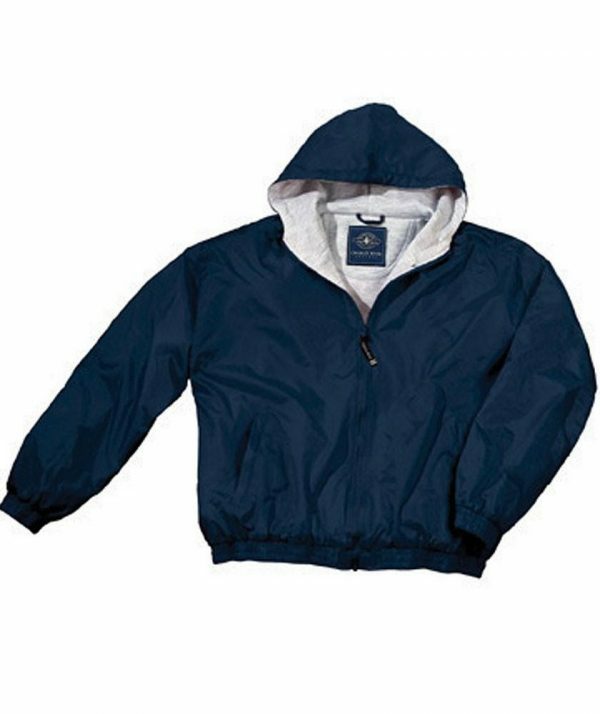 SKU: CR-7921 Categories: Hooded Jackets, Youth Clothing, Outerwear Brands: Charles River Apparel. Wind & water-resistant River Tec? Nylon, lined with heavy ash grey sweatshirt lining for warmth, 9 oz/yd2 (equiv to 14.99 oz/lyd, 305 gsm). Hooded. Zippered side pockets and elasticized cuffs & waistband.